Simply Tailored for Your Needs. Get started today by creating your account! Before, Dolce Bakery used Restaurant Pro Express as the point of sale solution. 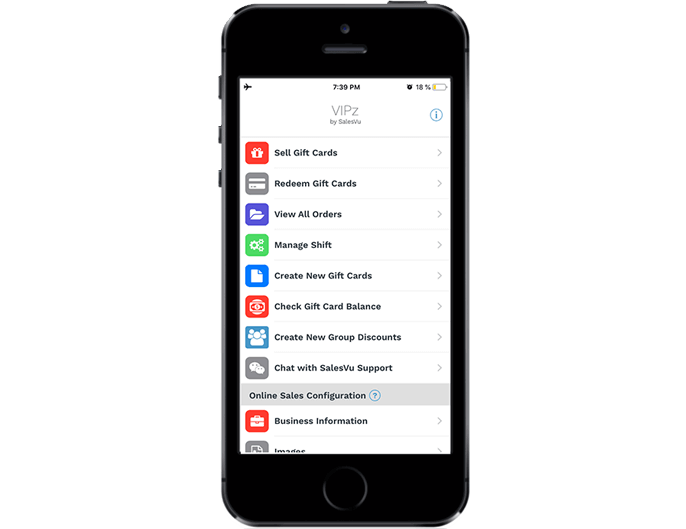 As soon as we heard about the price and the gift card module SalesVu offered, we decided to switch. I remember that while looking to upgrade our point-of-sale system we reviewed several other options including Quickbooks, Square, Shopkeep, Checkout, and Lightspeed. We ultimately went with SalesVu because it was the most reasonable price, had the most options that best fit our type of business, and gave us the best customer service experience compared to all the other point of sales. Tired of making various tools and processes work when you could be using a simple, convenient, and affordable solution?We get it. Here saves you time, money, and stress with our all-in-one, free solution! While all of our apps are easy to use and easy to initially set up, we're more than happy to go above and beyond to ensure that you're happy and have everything you need to make our apps work for you. Remove the redundancy from your workflow. Automatically keep your software and system up to date. Give yourself the time to focus on the important things! At SalesVu, we pride ourselves on providing fully invested, attentive, immediately available assistance to all our customers. So we make your success with SalesVu a top priority year-round, from Day One. We're here ready to help... ask away!